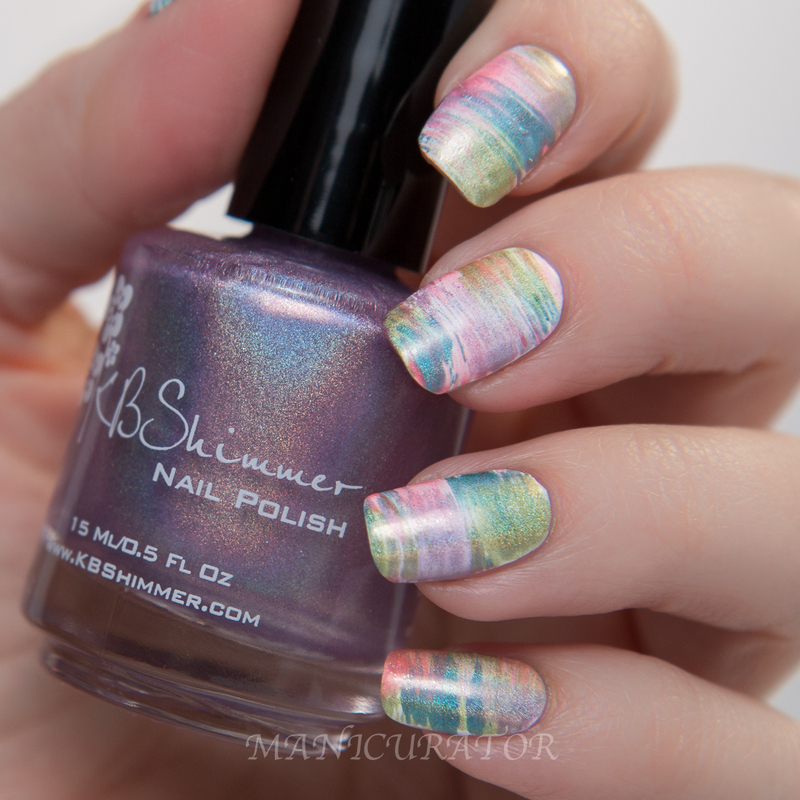 Today is the day that KBShimmer Spring 2015 collection press release and swatches are announced. 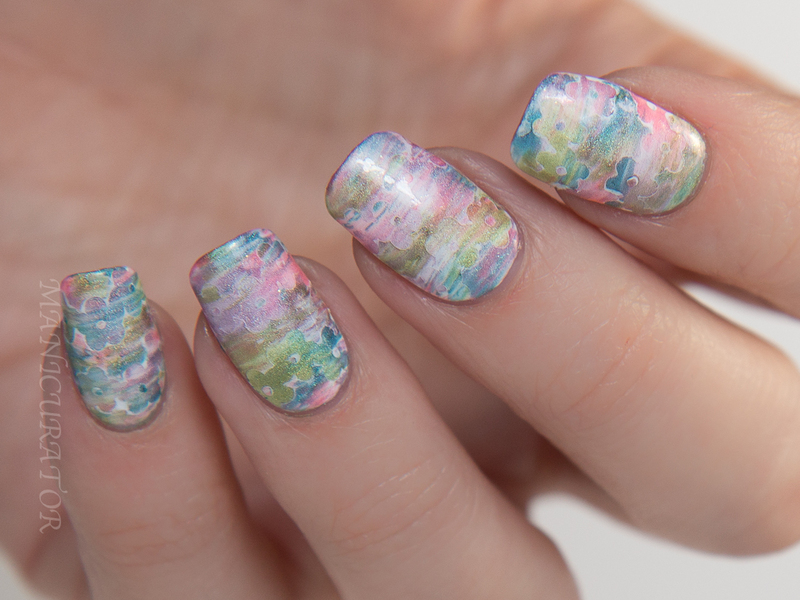 You'll be seeing a lot of swatches popping up from bloggers, so what I was really excited to do was present them in nail art designs. 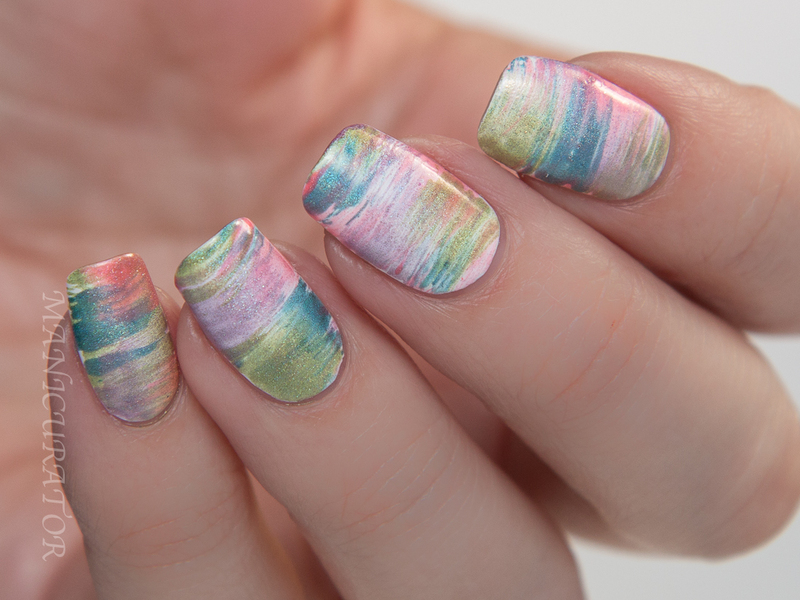 There are three different nail vinyl sheets available as well. Check out the official press release which includes images of the new vinyls! 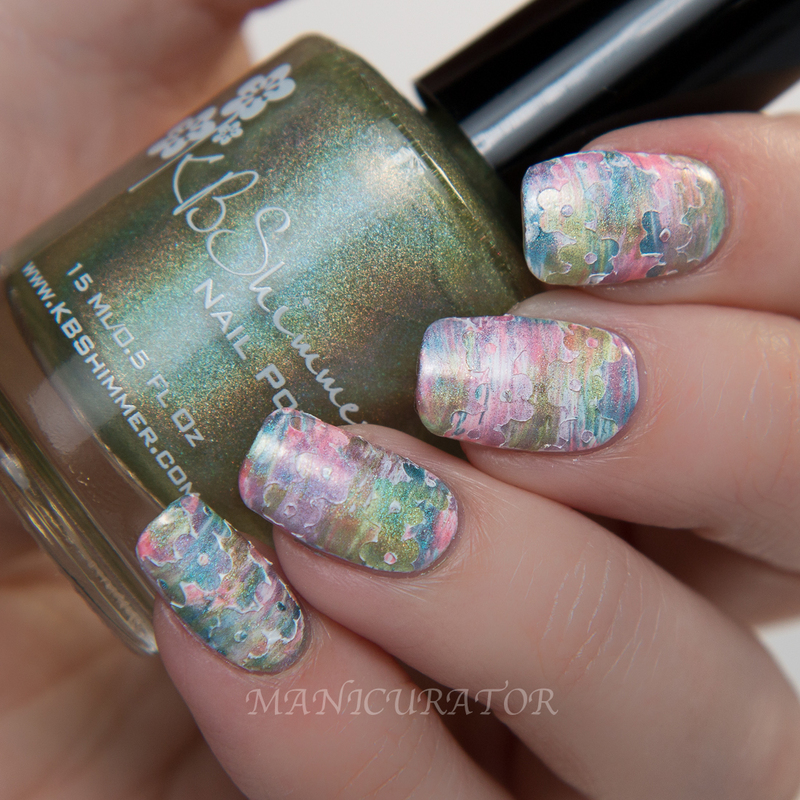 KBShimmer Ins and Sprouts and the final look. Read through to see the first step towards this design and my easy how to! 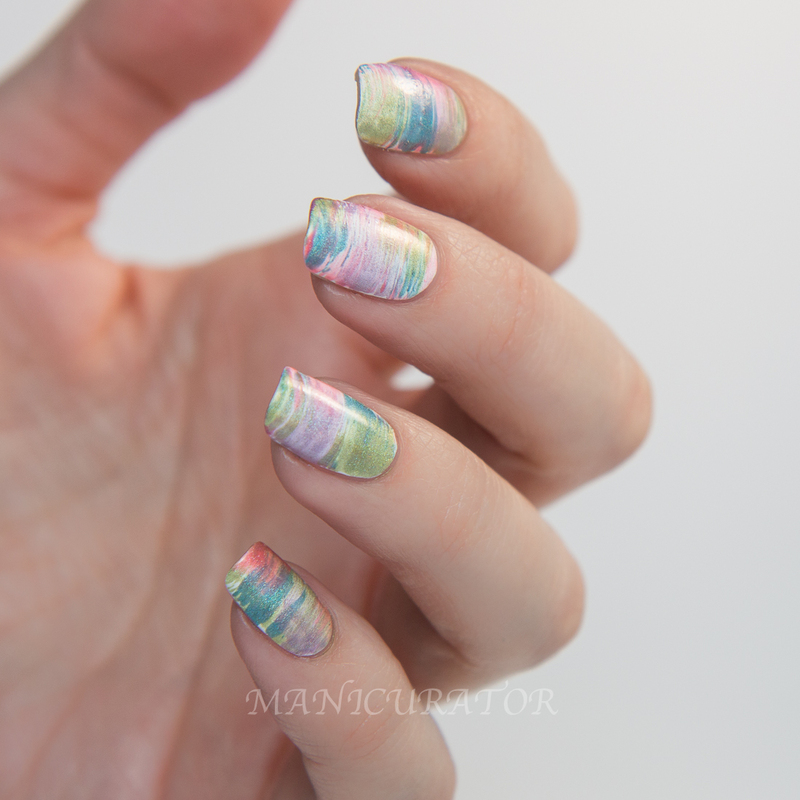 To create this look, I started with 2 coats of KBShimmer Eyes White Open also from the Spring collection. It went on like a dream and covered perfectly in 2 coats. Then I used a fan brush to paint randomly back and forth across each nail. SO easy and simple with (I think) really striking result. Once the fan brush paint was dry, I stuck the flower nail vinyls down and painted over them with the white shade and fan brushed with all the shades again. Then peel off the vinyls. That's it!! 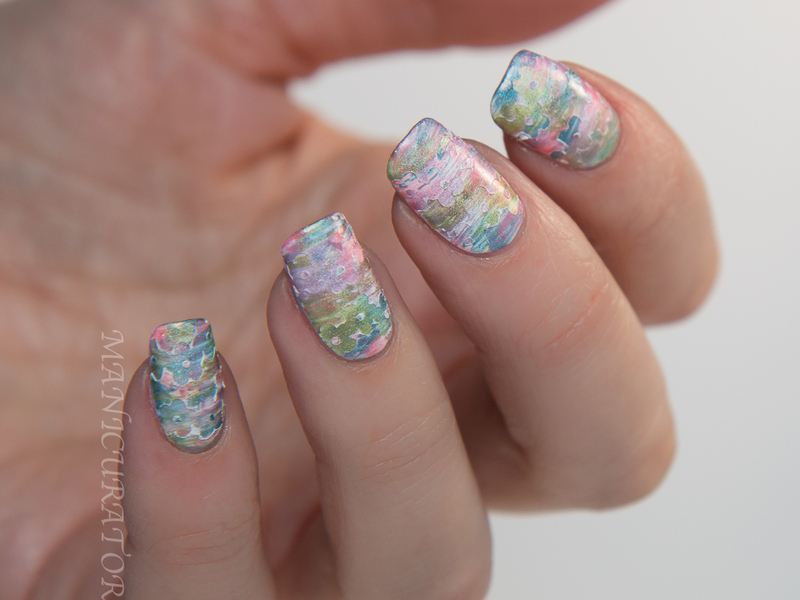 The following two photos are with KBShimmer Clearly On Top top coat. It glosses it and smooths over the edges you can see in the previous photos. I definitely like it, but think I prefer this one before the top coat. Can you notice the difference? Gorgeous! I love the trick of the light on the flowers :) This looks like a painting!! This really is beautiful, and so simple! Thanks for the idea. 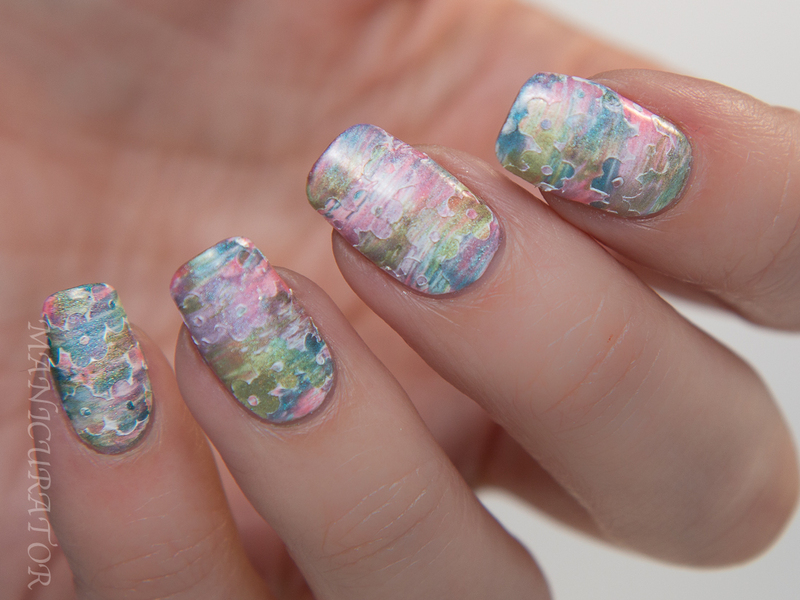 OMG, the effect and colors are mesmerizing. You're very talented! How creative!! And, yes, before the top coat the colors look a little more defined. Is that it? And definitely Monet! 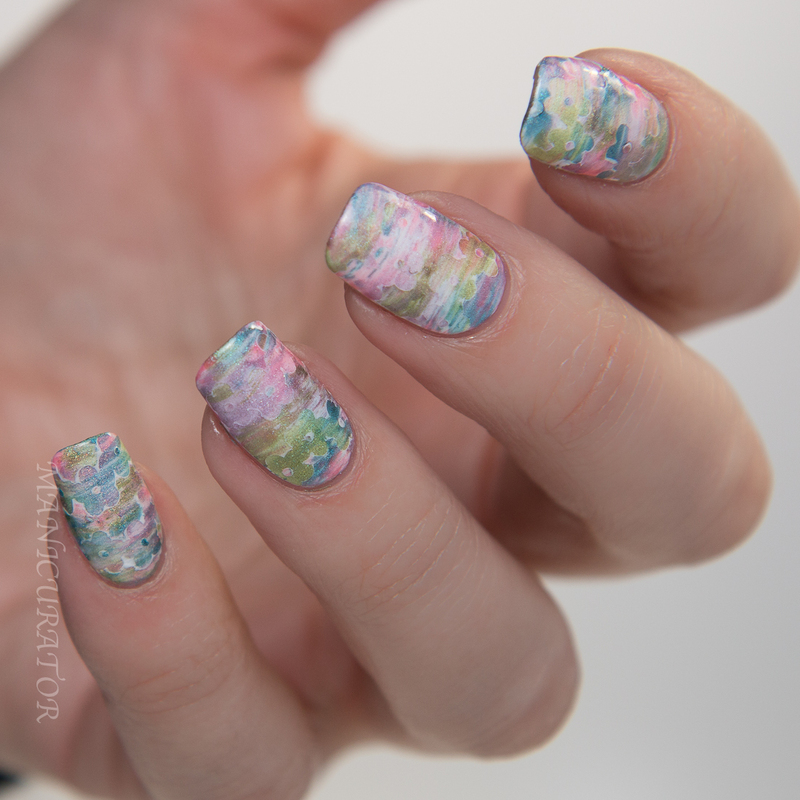 What kind of fan brush (or any nail art brush) do you like? Are they actual art brushes? I really love the dry brush technique you used! Love how abstract this is and the extra dimension the flowers bring! Those flowers! I'm not sure how I missed the press release before, but those are awesome, and I like how you used them to create this look! I totally see the Monet inspiration! Very cool! This is absolutely beautiful! I never would have thought to put these elements together! I love it, it's so fresh and pretty for spring!! 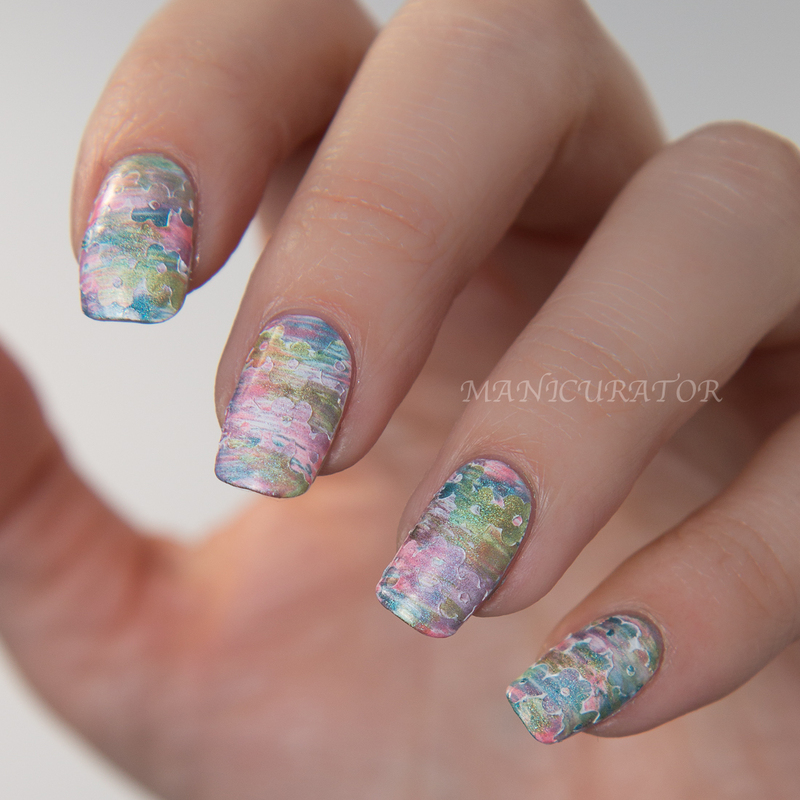 Wow... such a mesmerizing and complex looking mani! I love it without TC because of the slightly raised edges :). This is awesome...so much awesome! Wow, this is so cool. Definitely looks like a Monet painting! Wonderful! Oh wow, this looks amazing! I am literally sitting here with my mouth open staring at how gorgeous it looks.